In previous editions of Revolutionary Perspectives we have examined theories which deny that a transitional period between capitalism and communism, as outlined by Marx in his Critique of the Gotha Programme, is necessary. We have argued that a transition to communism can only occur after the working class has taken political power since islands of communist production cannot exist within capitalism. The contradictions of capitalist production, however, continually sharpen and hence make the system increasingly unstable with the possibility of revolution or global war ever more likely. Our explorations of theories which deny the need for a transition period allow us to conclude, firstly that they are a rupture with historical materialism and consequently utopian, and secondly that, if such schemes were ever implemented they would result in the complete failure of the revolution. Further theories, which have become influential in recent years, hold that capitalism is negating itself through its own internal developments, and we could arrive at a post-capitalism system of production through these developments alone. An overthrow of the system by the working class therefore becomes unnecessary. These ideas hinge on the idea that the law of value is being undermined and commodities are tending towards a value of zero at which point they could be distributed free. Paul Mason, for example, claims that this is occurring via the internet with free software and information systems such as Wikipedia. The reduction of the value of commodities towards zero was also theorised by Toni Negri, a leading theoretician of the Italian Autonomist movement. The class struggle, he argued, has forced capitalists to replace living labour with machinery thereby reducing the value of commodities. Production under capitalism, he claimed, was no longer value production. This makes the replacement of capitalism fundamentally a political project and eliminates the need for a period of transition in which value production is ended. The Trotskyist academic, Hillel Ticktin, who edits and writes in the journal Critique, also argues the law of value is being negated by contemporary capitalism which he sees as being in a state of decline. He argues that a state of decline of one system of production is necessarily a period of transition to a new replacement system of production. We are thus at present in a period of transition where the capitalist system is being invaded, and negated, by socialist or proto-socialist forms. He draws the undermining of the law of value to its logical conclusion, namely that capitalism is itself creating socialist structures over which the proletariat will have to establish control through political revolution to create communism. If we are now in a period of transition then a future period of transition after proletarian political power has been achieved is no longer necessary. Ticktin also concludes that generalised war is now impossible because of the global integration and socialisation of production. This makes resistance by the bourgeoisie much more difficult and the replacement of capitalism by socialism easier. It becomes essentially a political task of establishing workers’ control over what capitalism has created. This is reminiscent of the claim, made over a century ago, by the social democrat Hilferding, who argued that by 1910 finance capital had socialised the system of production to the extent that socialism could be established by workers taking control of 6 Berlin banks. If we are now in a transitional period to socialism the creation of communist society becomes much easier. Ticktin’s texts on capitalist decline and transition have been written over four decades and the theory was worked out before the collapse of the Soviet Union. It is not unreasonable to expect some contradictions, and what follows is a general synopsis giving more weight to the recent texts. Throughout his writings Ticktin sees present-day society as one in transition to socialism: a transition analogous to that from feudal to capitalist society. Within feudalism money payments started to dissolve the feudal structure and produced isolated pockets of wage labour in the feudal towns, this progressed over centuries until wage labour and commodity production became the dominant form of production and the feudal political structures were overthrown. Ticktin argues that from the time of the Russian Revolution in 1917, capitalism has been in a period of decline, a decline which is indicated by the prevalence of monopolies, of finance capital and of imperialism. At the same time socialist forms have been invading capitalism and circumscribing and negating the law of value. This means that wage labour and thus value production is being undermined. This defines the general state of decline of capitalism, but it is a decline which is not simply a question of the system producing greater and greater contradictions within itself. Instead, Ticktin insists, it is indissolubly linked to the transition to a new society. In an article in 2017 he claims there are now no more intermediate stages to socialism. What are these socialist forms which are undermining capitalist relations? Ticktin argues that after World War Two capital became more socialised through measures such as nationalisations, free education and health care, increased regulation, planning, state participation in industry and so on. These measures represented a negation of the law of value. 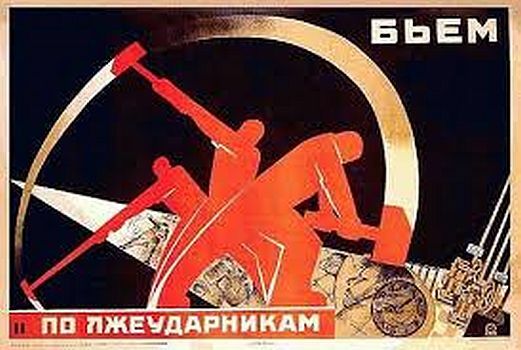 Within the Soviet Union (USSR) wage labour did not properly exist. Capital was nationalised and planning controlled production without the capitalist market. He claims that capitalism had been overthrown in 1917 but the working class had lost power so elements of capitalism co-existed with elements of socialism. The USSR was therefore a neither-nor society, neither capitalism nor socialism. Ticktin argues the law of value in the USSR was more restricted than in western capitalism so the USSR was also a transitional society. The problem with all this is that the so-called socialist measures, such as nationalisations and the welfare state and so on, have been reversed or partly reversed in the period from the 80s to today. In addition the USSR has collapsed and international capital and the law of value rule throughout its former territories – something Ticktin denied could occur. These developments would, following Ticktin’s argument, presumably produce a reinforcement of the law of value rather than undermine it. The more recent texts take no account of these developments. Instead they claim we are still in a transition and capitalism is more unstable than ever, not now because of invading socialist or proto-socialist forms and the negation of the law of value, but because the USSR has collapsed and the Cold War has ended. The Cold War was, Ticktin asserts, the glue which held western capitalism together alongside the threat of worse conditions under so-called communism which disciplined of the working class. The argument has changed from one based on changes in the production relations, that is the infrastructure of society, to one based on ideology that is located in the superstructure of society. However, the law of value, we are told, is still being undermined but the principal forces doing this are now finance capital and monopolies. These can hardly be described as invading forms of socialism! What has happened to the invading socialist forms? The so-called socialist forms which Ticktin sees as undermining the law of value were never socialist measures, and nor were they what he describes as “the invading socialist society” which negated the law of value. The reforms after World War Two were entirely compatible with capitalism in the post war period. Nationalisation brought about centralisation and restructuring of sectors of the national capital and produced state capitalist organisations. Planning was on a national scale, thereby eliminating inefficiencies in the national capital, while the welfare state ensured capital as a whole, private and state capital, could depend on healthy and educated workers. These measures were part of a restructuring of capital to centralise and increase efficiency on a national plane. Capital was able to grant improvements to workers’ living standards because of the higher profitability of capital in the post war period, a profitability which was brought about by the previous devaluation and destruction of constant capital in the War. The fall in profitability which brought an end to the post war recovery has also brought about the partial dismantling of the welfare state and a reduction of living standards for workers. It has, however, also brought about a restructuring of capital on a global level. Production now moved to wherever profitability is highest. This is generally where labour power is the cheapest and labour legislation is the weakest. An enormous impetus was given to this process by the collapse of the USSR and the opening up of its constituent states, together with China and India, to global capital. This global restructuring of capital is being driven by the forces of profitability. Neither the post-World War Two reforms nor the more recent global re-organisation of capital represent socialist measures which negate the law of value. What these developments do represent is a tremendous concentration and centralisation of capital. Albeit on a global level this is entirely within the bounds of the capitalist system. Production is integrated on an international level and capital exploiting wage labour is now internationalised to the extent that, for most nation states, it is absurd to speak of a national capital. The global means of production are now so centralised that they are ripe for socialisation on a world scale. This only highlights the contradiction of their existence as the private property of the capitalist class. This, of course, was predicted by Marx and Engels and is recognised by Ticktin. What this represents is a deepening of the contradictions of capitalist production. Ticktin, however, claims this process represents much more. Socialisation of production … has begun to transform the nature of value itself. As we approach the new mode of production value is more and more assisted, or in some cases taken over, by organised forms. … public and private bureaucracy. There is a conflict between the old form – value and the market – and the emerging if still capitalist form of so-called planning. Globalisation and capitalist ‘planning’, however, do not mean socialisation. They represent the material means for a new system of production but they do not undermine capitalist production relations. This is in no way analogous to the way islands of capitalist production in the feudal towns undermined feudalism. Ticktin’s argument hinges on his contention that the law of value is being gradually undermined and this we must now consider. The magnitude of value expresses a relation of social production, it expresses the connection that necessarily exists between a certain article and the portion of the total labour time of society required to produce it. Hence the exchange value of commodities, according to the labour theory of value, is determined by the average socially necessary labour for their production which they contain. Commodities, things in general, have value only because they represent human labour, not in so far as they are things in themselves, but in so far as they are incarnations of social labour. Thus under capitalism social labour can only be expressed as value. This fairly simple relationship has enormous consequences and lies at the root of a host of contradictions which infect all relationships within capitalist society. The social relation between workers’ labour appears not as a relation between the labourers but as a relation between the products their labour produces. Value appears as an attribute of things rather than a representation of social relations. This Marx calls the fetishism of commodities which is inevitable so long as value production persists. Marx’s critique of capitalism centres on a critique of value production which leads to the inverted nature of human relations in which relations between people take the form of relationships between things. One of the primary contradictions of value production is that between the use-value of a product and its exchange value. Ticktin seizes on this as the expression of the law of value. He informs us that the law of value describes the movement of the poles of the contradiction between use and exchange value. Defining the law of value in this way allows him to argue that the invading socialist forms, considered above, are in a dialectical relationship with value production and they represent a pole of contradiction, even if they are not fully socialist. But how precisely a movement of ‘poles of contradiction’ can be in decline is a mystery. However, what he appears to mean is that the quantitative relationship between value production and non-value production is changing in favour of non-value production. Ticktin points to significant sectors of the economy which are no longer value producing, foremost among these is finance capital. Value, he tells us, has evolved into finance capital  and further finance capital, creates profits by the destruction of use values. Other sectors of the economy such as healthcare, education and defence all operate outside the law of value. These, he claims, negate the law of value  and consequently the law is in decline. Finance capital is a transient form which surplus value takes in capital’s production cycle and to claim it has become this form is a muddling of categories. Moreover, to claim finance capital produces profits by destruction of use values is simply abandoning Marxist economic analysis. Any departure from this indicates a system that is unhealthy. Creation of money and financial trickery lead to paper claims on existing surplus value which exceed the surplus produced and so eventually cannot be met. They also create speculative bubbles which inflate asset prices such as housing, commodities, equities etc. but ultimately burst dramatically as we saw in the 2008 financial crisis as real values tend to reassert themselves. This is not to say the law of value no longer applies. What it does say is that capitalism’s crisis of profitability – of the production of real value – is being prolonged, but massively deepened by the resort to financial engineering and fictitious capital. What Ticktin sees as the gradual demise of the law of value is in fact the expression of a real crisis of accumulation. Ticktin builds his argument on the premise that we are now living in a period of transition from capitalism to socialism and the law of value is being negated by current developments in capitalism. If this is not the case, as argued above, the theory that we are living in a transitional period collapses. However since this is the main conclusion of Ticktin’s concept of capitalist decline it is worth considering it briefly. Ticktin admits the law of value operates on a global level and socialism cannot exist in a single country and certainly not in a single sector of the economy. Yet his transition speaks of invading socialist or proto-socialist forms which are negating the law of value. For a transition to socialism to exist there must be forms of socialist production in a dialectical relationship with capitalist production as he himself admits in the quotation above. If we are in a period of transition to socialism the elements of socialist production must gradually displace the capitalist ones. It is therefore up to Ticktin to point to the formations of socialist production which are displacing the global capitalist relations. He points to nationalisations, the welfare state, planning and bureaucracy. None of these could possibly be described as socialist formations of production. On the contrary they are reforms within capitalism instituted with the aim of making the system more efficient. We can only conclude Ticktin cannot point to the new social formations of production which his argument insists exist, and indeed must exist, if we are in a transition to socialism. Capitalism is in a period of decline. The root cause of this decline is the system’s inability to overcome the tendency for profit rates to fall with the increase in organic content of capital without devaluation of constant capital through generalised war. The system needs to destroy value it has created to survive! The measures which capital adopts to mitigate this problem, outside of war, are symptoms of this underlying problem they are not, as Ticktin thinks, causes. This is the case with the structures Ticktin points to, in particular, monopolies, planning and finance capital. The contradictions of capital are sharpening and the more the system extends itself on a global plane the more global these contradictions become. But capitalism cannot, of itself, create an opposing social system of production, all it can do is restructure itself within the confines of capitalism itself. What it is inevitably forced to do is to organise itself on a global level which, as we have indicated above, entails linking and internationalising the means of production. This makes the contradiction between social means of production and the private class ownership of these means of production sharper and the system becomes more prone to crises. But all this does not mean, as Ticktin argues, that a transitional period has been initiated in which opposing social organisations, in dialectical opposition to capitalism, have arisen and are undermining capitalist social relations. Ticktin confuses centralisation and concentration of the means of production with socialisation of the relations of production. The relations of production are not, and indeed could not be, socialised under capitalism. Capitalism must be overthrown before a transitional period can be initiated. There must be a total rupture with value production. In order for this to happen the working class must capture political power and set about consciously transforming social production relations. Ticktin’s conceptions seem like those other aficionados of a seamless transition to communism, who have long lost hope in the working class being the agent of revolution. For a Trotskyist it is entirely natural to see socialism being ushered in by a benevolent state over which the working class has “democratic control” but this sees the question in a very administrative way. Socialism is not just a more equal capitalism but an entirely new mode of production. This can only come about through the self-activity of the mass of the working class through its own organs and using its own principles (mandated delegation, rotation of delegates, immediate recall and so on). As the early months of the Russian Revolution showed, this was the only effective way to fight bureaucracy. It is the only way to ensure that any statist tasks that have to be carried out to defeat the capitalists and their hangers-on do not get converted into a permanent system. The idea that we are now in a transition period in which capitalist social relations are evolving into socialist ones is not only an illusion, it undermines what needs to be done to achieve communism. See “Autonomism – Cutting the Ground from Under Marxism” and “Autonomism – Many Flowers Little Fruit” in Revolutionary Perspectives 10 and 11. A few times in the article, there is reference to a transitional period defined in terms of socialist production in a dialectical process with capitalist production and similar formulations. Now this is correctly dismissed as occurring now but what about in the post insurrection scenario which the author postulates as necessary. Is there still to be a dialectical process where capitalist production remains? I do not read this in Marx or Lenin, the argument is for immediate expropriation which ushers in lower stage communism, not a hybrid capitalist/communist period. The lower stage of communism can be regarded as a transition to the higher stage, but both are. Communist, money is gone, private property gone.